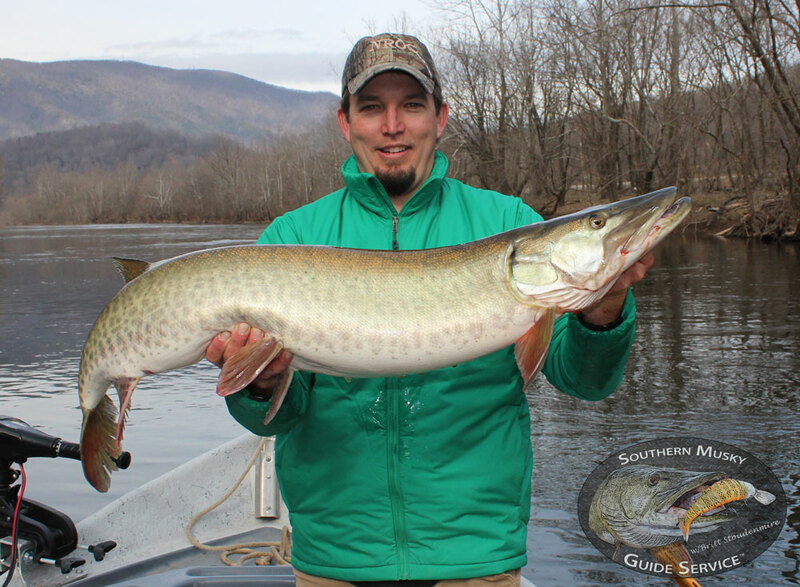 Britt Stoudenmire offers guided musky and smallmouth trips, canoe, kayak, and raft rentals on the New River, and private, waterfront cabin lodging at Walker Creek Retreat and the Eagle’s Nest Cabin which also doubles as SMGS’s Musky Camp during the winter season. In addition, Britt and Leigh co-host The Life. Outdoors w/Britt & Leigh web show and air monthly episodes at their website. 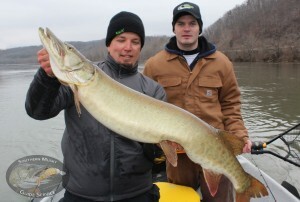 Britt has a passion for hunting BIG FISH and the “elusive” musky is no exception. 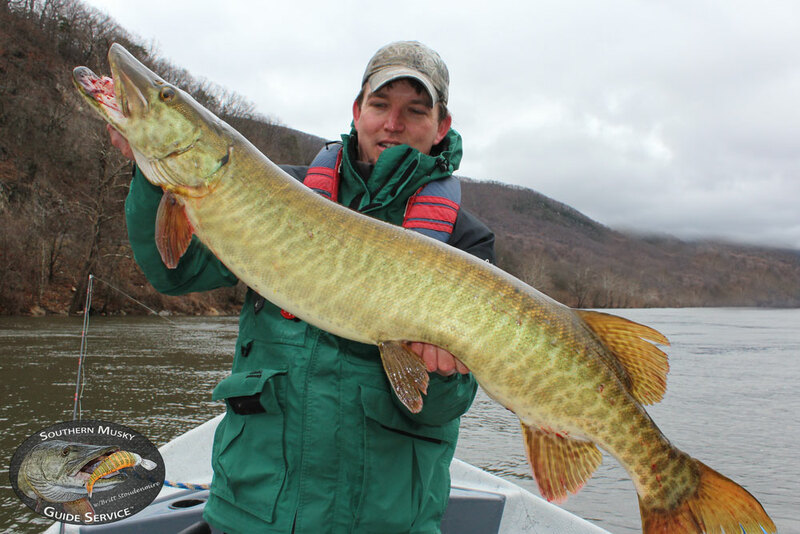 After years of trophy smallmouth fishing and catching big musky after big musky (on bass tackle, incidentally), Britt decided several years ago to put his knowledge and time on the water to the test and take up the hunt for the baddest freshwater fish on the planet. 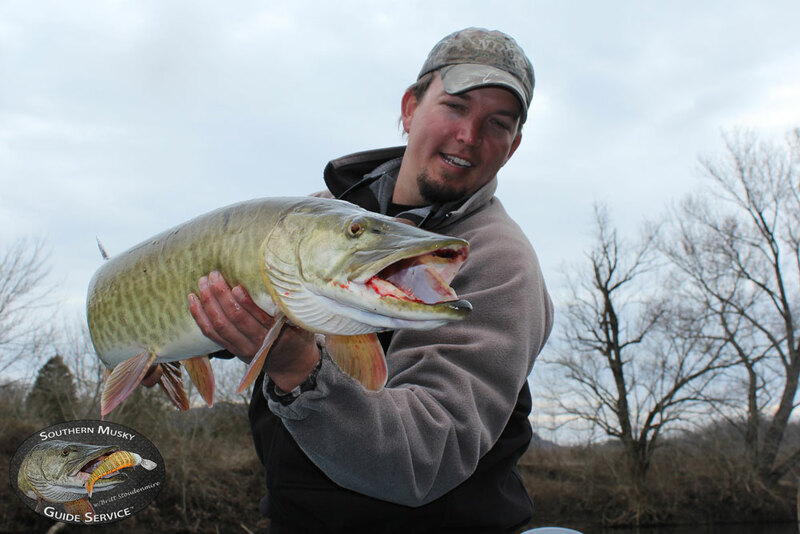 Britt has traveled as far as Wisconsin to hone his musky fly fishing skills, and fishes and guides on both the New and James Rivers all season long for these beasts when not guiding for smallmouth. 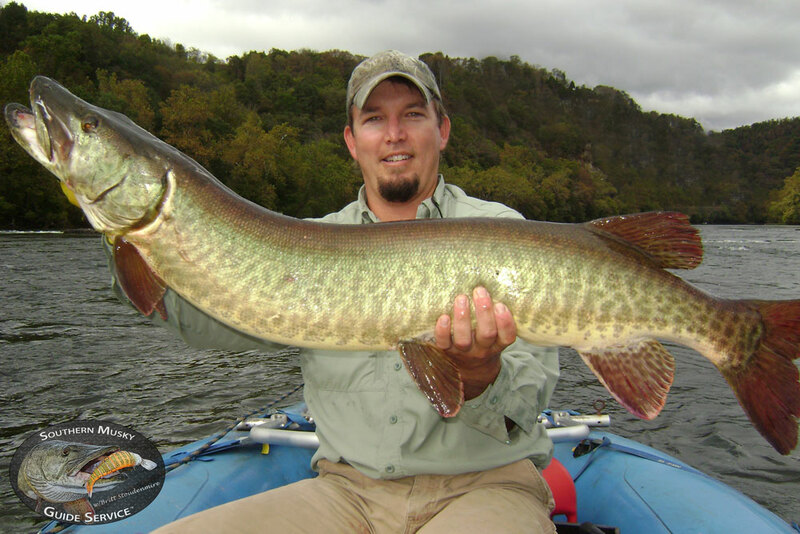 Some of Britt’s largest muskies to date include a near 50″-er from Main Stem of the Chippewa River in Wisconsin on the fly in September 2012, a 50″-er from the New River in March 2011 on conventional tackle, and numerous New and James River fish in the 40″+ range on both conventional gear and flies. Britt stresses the importance of knowing “where they live” as being the key to taking advantage of the small windows of opportunities they often give, and there is no substitution for time on the water for learning their haunts. Britt’s relentless spirit and passion for the hunt drive him to become a better anger/guide each and every time he has the opportunity to hit the river, and he loves to share that enthusiasm with his clients.